As a Ducks fan, I can’t stop fathoming at all the great times that happened this season. 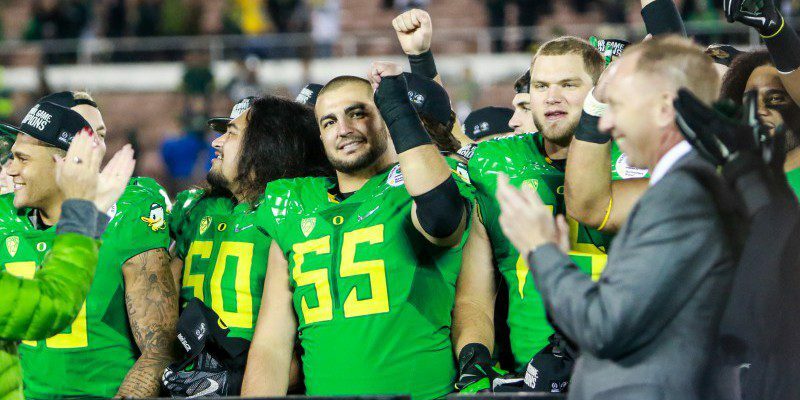 From beating Stanford to finally annihilating Arizona, this season will be remembered as one of the best years of the Oregon Football program. Unfortunately, all of us didn’t want all the hype that was occurring to suddenly end in a depressing fashion as it did on Monday night. However, what’s important as Ducks fans is to move on and focus on what Oregon may potentially look like in the upcoming 2015 season. There’s no doubt in my mind that Oregon will be a legitimate team to be reckoned with next season. The only problem is that imagining the Ducks to be considered preseason favorites to return to the College Football Playoff is highly unlikely. Currently, there are tons of uncertainties as to who will be the next quarterback, for instance. Heading into this season, it was obvious that Oregon would be ranked high as we had playmakers both on the offensive and defensive side of the ball. However, I do believe that the Ducks will be among the top teams in the Conference of Champions Pac-12. Center Hroniss Grasu and OT Jake Fisher have served as true veterans for the offensive line, despite all the injuries that occurred this season. When all is said and done, the Ducks lost valuable players who had years of experience under their belts. Players such as C Hroniss Grasu, S Erik Dargan, and LB Tony Washington were true veterans and leaders on the team that ultimately served as mentors to younger members. If anything, the Ducks will obviously be less experienced next year. When football begins to pick up again during the spring, it would be wise for Head Coach Mark Helfrich and the rest of the coaching staff to spend a sufficient amount of time establishing new faces into much more significant roles. Despite all the negative points on the outlook of the 2015 team, there are several aspects that Oregon football fans should be excited about. 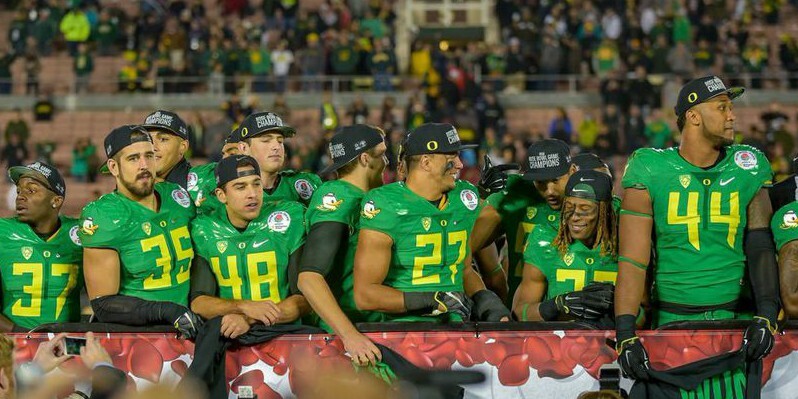 Throughout Oregon’s 2014 campaign, tons of players surprised us by their performances and athletic ability on the field. One of these outstanding players was true freshman sensation RB Royce Freeman who racked up a total of 1,365 yards and scored 18 touchdowns. What makes matters more exhilarating for Freeman is that there’s a strong possibility the he might be a Heisman Trophy candidate. It would honestly be a dream to witness Oregon players winning back-to-back Heisman Trophies within two years. However, at the end of the day, Freeman’s potential “Heisman season” depends on a multitude of factors ranging from the team’s performance and whether the Ducks will be able to make another appearance in the College Football Playoff.